phospholipids supplying 100 mg of phosphatidylserine (PS) for support of neurological functions. Phosphatidylserine capsules may be a useful dietary supplement for individuals who wish to support the body’s nervous system and brain function. One capsule daily with a meal or as directed by a healthcare professional. Helps to support normal early fetal development. Helps to support normal early development of the fetal brain and spinal cord. Non Medicinal Ingredients: Cellulose, dicalcium phosphate, croscarmellose sodium, vegetable stearate and silica. Suggested Dose: Adults take 1 tablet daily or as directed by a healthcare professional. A factor in the maintenance of good health. Helps to maintain the body’s ability to metabolize nutrients. Helps to form red blood cells. 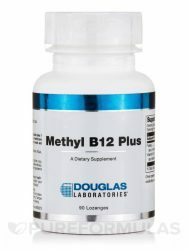 Methyl B12 provides methylcobalamin and calcium L-5-methyltetrahydrofolate from Metafolin® in a great-tasting lozenge that rapidly dissolves in the mouth. 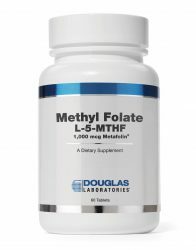 Methylcobalamin and L-5-methyltetrahydrofolate are the predominant forms of vitamin B12 and folate, respectively, commonly found in cells, and do not require additional conversion in the body. As co-enzymes, these B vitamins are essential components in most major metabolic reactions. They play an important role in energy production, including the metabolism of macronutrients. Non-medicinal ingredients: Ascorbyl palmitate, Black Cherry flavor, Carboxymethylcellulose sodium, D-Mannitol, Vanilla flavor, Xylitol. Suggested Dose: Adults take 1 tablet daily or as directed by physician. Let tablet dissolve in mouth. 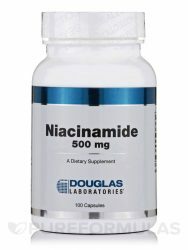 Niacin (vitamin B3) can be obtained from niacinamide, an amide of niacin that is typically well tolerated and not associated with causing a –flushing” reaction. Niacin occurs in the body as two metabolically active coenzymes, NAD (nicotinamide adenine dinucleotide) and NADP (NAD phosphate). Niacin has pervasive roles in energy-related and biosynthetic metabolic processes. At least 200 enzymes depend on these niacin cofactors. The NAD-dependent enzymes are involved in mostly catabolic, oxidative reactions that release energy from carbohydrate, fat and protein, whereas the NADP-dependent enzymes more commonly function in biosynthetic pathways of compounds such as fatty acids. Non Medicinal Ingredients: Gelatin, Magnesium Stearate, Microcrystalline cellulose. Suggested Dose: One capsule daily with meals or as directed by your healthcare professional. Pyridoxal-5-Phosphate (P5P) is a chemically active form of Vitamin-B6‚ an essential vitamin for your health. It plays an important role in amino acid metabolism‚ neurotransmitter synthesis‚ and more. 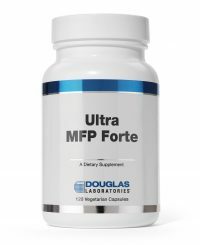 Douglas Labs has developed their Pyridoxal-5-Phosphate capsules for individuals interested in supplementing this active Vitamin B-6 form into their diet. Douglas Labs’ Pyridoxal-5-Phosphate capsules provide 50 mg of Pyridoxal-5-Phosphate (P5P) in each single capsule serving. This highly absorbable formulation allows for optimum bioavailability‚ allowing you to get the most out of the supplement with only one capsule a day. This active form of B-6 can be central in the production of both serotonin and GABA‚ two neurotransmitters important for mood balance‚ pain perception‚ and anxiety. Additionally‚ it can play a role in supporting efficient circulatory functions as well. Non Medicinal Ingredients: Cellulosa, gelatin, magnesium stearate. Suggested Dose: Adults take 1 capsule daily with meals or as directed by physician. 5-HTP Plus by Douglas Labs may help with serotonin production. These capsules provide 75 mg of L-5-Hydroxytryptophan (5-HTP) with servings of L-Tyrosine and L-Glutamine. Serotonin is a vital neurotransmitter responsible for nerve signals as well as mood balance. Serotonin is capable of promoting the production of melatonin‚ which is responsible for regulating a proper sleep/wake cycle. Therefore‚ this quality offering from Douglas Labs may help you get a good night’s sleep while promoting feelings of calmness. Additionally‚ 5-HTP may also help with the reduction of headaches due to potential improvements to serotonin production. Douglas Labs’ 5-HTP Plus Capsules also contain servings of L-Tyrosine and L-Glutamine. These two amino acids may potentially help with the production of neurotransmitters‚ immune functions‚ and the reduction of stress. One to two capsules per day, between meals or as directed by a physician. Vitamin B6 is necessary for the conversion of 5-HTP to serotonin. Thus, an adequate intake of vitamin B6 is necessary to derive optimal benefits of 5-HTP. Relora-Plex, provided by Douglas Laboratories, is a unique blend containing two patent-pending herbal extracts, specifically designed to support normal mental functioning during stress and anxiety. Relora-Plex may be a useful dietary supplement for individuals wishing to support normal mental functioning with a unique herbal blend. 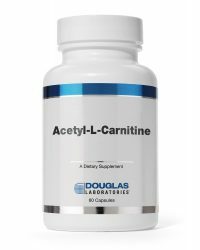 Acetyl-L-carnitine, a naturally occurring metabolite of L-carnitine, plays a key role in supporting cognitive function during aging while helping to reduce fatigue. In most tissues of the body, both L-carnitine and acetyl-L-carnitine are involved in fatty acid oxidation. L-carnitine shuttles fatty acids from the cytosol (the cell fluid) into the mitochondria (the cell’s powerhouses) for oxidation and energy production. In the brain, acetyl-L-carnitine specifically acts on fatty acid oxidation in astrocytes and neurons to produce energy. The compound exerts its cognitive protective effects through three main actions. Acetyl-L-Carnitine protects tissues against oxidative stress while producing energy and influences the activity of nerve growth factor (NGF), the neuropeptide responsible for the growth, maintenance, and survival of certain neurons. It has also been shown that acetyl-L-carnitine can help to maintain cellular membrane stability and to restore age related membranal changes. Non-medicinal ingredients: Cellulose, Gelatin, Magnesium stearate, Silica. Looking to boost your immune system? Try Ester-C® Plus‚ a vitamin C supplement formulated with bioflavonoids‚ botanicals‚ and more that may support your immunity. The vitamin C in Ester-C® is most famously known to be a possible immune system booster. In order for our bodies to have an adequate amount of vitamin C‚ we must acquire it through dietary means. In a perfect world‚ our diet would be perfectly balanced in nutrients. But the reality is that our diets are potentially often inconsistent and possibly lacking an efficient amount of nutrients. That’s why Douglas Labs’ Ester-C® Capsules may be a great help to those who are looking for a potentially fast and easy way to get their vitamin C.
Ester-C® Plus Capsules’ immune bolstering benefits are possibly enhanced with bioflavonoids. These substances are plant chemicals that have been suggested as possibly having antioxidant benefits. An antioxidant is any dietary substance that has the ability to find and eliminate excess free radicals in our body. Free radicals have been implicated as posing potential risks to our health and exacerbating signs of aging. With so much going on throughout your day‚ it’s important to stay sharp. Maintaining your brain and memory health is vital when it comes to feeling your best and this is why Douglas Labs is proud to offer you another quality supplement. Brain Memory Capsules may help you support and improve various areas of memory and learning functions. Our nerve cells require healthy membranes for proper nerve signal transmission and neurotransmitter metabolism. Each capsule contains 5 mg of Huperzia Serrata‚ which is an extract of Chinese club moss. This extract may help in slowing the degradation of acetylcholine‚ an important neurotransmitter that takes part in memory processing and learning. Brain Memory also provides 25 mg of Ginkgo biloba extract. This herb extract may help improve blood circulation through the capillaries in the brain. The Acetyl-L-carnitine component assists in the healthy production of acetylcholine‚ another crucial neurotransmitter that works in our bodies daily. Douglas Labs has developed Tri-En-All 400 to help supply your diet with all eight forms of vitamin E. This high quality supplementation of Vitamin E can therefore help with protection from free radicals. 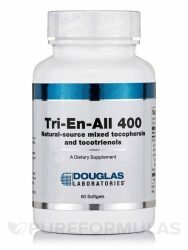 Douglas Labs’ Tri-En-All 400 contains 400 IU of Vitamin E‚ 280 mg of Gamma-tocopherol‚ 25 mg of Mixed Tocotrienols and 40 mg of Beta and Delta-tocopherols in each softgel. All of these nutrients are widely known for their antioxidant properties‚ which may help protect against free radicals. Vitamin E (as d-alpha tocopherol) …………. 400 I.U. Adults take 1 softgel daily with meals or as directed by physician. Sereniten Plus is a combination of Lactium® casein decapeptide, L-Theanine and Vitamin D to support the Hypothalamic-Pituitary-Adrenal (HPA) axis and feedback loop for metabolic support, stress management and cortisol regulation.† Lactium® and L-Theanine have been shown to provide a calming effect and may support normal sleep that is affected by stress. Suggested Use: Suggested Usage: As a dietary supplement, adults take 1 capsule daily on an empty stomach or as directed by your healthcare professional. Warning: Do not use if you are pregnant, breastfeeding or allergic to milk protein. Consult a healthcare practitioner prior to use if you are taking antidepressant and/or anxiolytic medications. Other Ingredients: Hydroxypropylmethylcellulose (capsule), cellulose andsilica. This product contains NO yeast, wheat, gluten, corn,sodium, sugar, arti cial coloring, preservatives orfl avoring. Douglas Labs’ Vitamin K2 (Menaquinone-7) provides 90 mcg of vitamin K2 in each vegetarian capsule. Vitamin K is primarily responsible for supporting the body’s blood clotting process. This is important because the body needs to maintain basic responses for minor scrapes‚ cuts‚ and bruises. Vitamin K is also utilized for the maintenance of strong bones. It works with vitamin D to synthesize bone protein necessary for growth‚ density‚ and functions. Without this protein‚ minerals would not be able to bind together to form bones. Finally‚ vitamin K works in the vital process of cell production and growth. This includes nerve cells that are required for brain functioning. 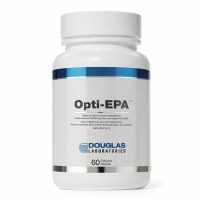 Opti-EPA is a very high potency marine lipid concentrate that provides twice the amount of the omega-3 fatty acids EPA and DHA per softgel than other fatty acid supplements. Opti-EPA™ is strictly screened for toxic metals and chemicals, completely free of cholesterol, and carefully processed and handled to avoid oxidation. Non Medicinal Ingredients: Marine lipid concentrate (fish oil from anchovy, sardine and mackerel), gelatin (capsule), glycerin, purified water. This product contains NO yeast, wheat, gluten, milk/dairy, corn, sodium, sugar, starch, artificial coloring, artificial preservatives or genetically modified organisms (GMO). Suggested Dose: One to three softgels daily or as directed by a healthcare practitioner. Calcium D-Glucarate Capsules from Douglas Labs’ may be able to support the body’s natural detoxification process. Calcium D-Glucarate is similar to a natural chemical known as glucaric acid. It can be found in food sources like apples‚ oranges‚ broccoli‚ cabbage‚ and Brussel sprouts. If a busy schedule has been cutting into your hopes for a balanced diet‚ then a supplement like Calcium D-Glucarate Capsules from Douglas Labs’ may prove to be helpful. Calcium D-Glucarate can be synthesized by combining natural glucaric acid with calcium for supplementation. Some studies suggest that Calcium D-Glucarate may help remove harmful toxins from the body while promoting a proper detox process. The combination of this supplement with a healthier and balanced diet may be able to support an overall improvement to your health. As a dietary supplement‚ adults take 1 to 2 capsules daily or as directed by your healthcare professional. Douglas Labs’ Ascorbplex 1000 is a vitamin C supplement formulated to potentially improve one’s antioxidant defense in addition to general immunity. Vitamin C is often referred to as an antioxidant. This means that it’s a dietary substance that has the potential ability to act as a stabilizing agent for excess free radicals. A free radical is any atom in our body that has an odd number of electrons‚ which makes it unstable. Numerous studies have suggested that certain signs of aging in addition to greater potential health risks are associated with free radicals in the body. This is why the possible free radical fighting power of antioxidants is becoming more and more popular and sought after. When your body is unable to properly digest foods‚ a number of things can happen. First off‚ you’re likely to experience unpleasant symptoms like bloating‚ gas‚ diarrhea‚ constipation‚ or abdominal cramping. Having these symptoms on occasion is normal‚ but something needs to be done if they’re common. Long-term digestive problems can lead to nutritional deficiencies. Taking a supplement may help avoid these problems. Caprylex by Douglas Laboratories contains acids and minerals that support healthy digestive function. It provides you with an easy way to prevent or relieve digestive problems‚ as an alternative to over-the-counter and prescription medications. Calcium‚ which is a mineral that assists with several functions‚ including helping you maintain strong bones and teeth; having digestive problems can impair your body’s ability to absorb and use this important mineral. Phosphorus‚ which is a mineral that helps your digestive system function properly; it also helps your kidneys filter out toxins in your blood. Magnesium‚ which is a mineral that’s needed in order for your body to properly digest your food. Sodium‚ which is a mineral that aids in digestion and helps your body absorb nutrients. Caprylic acid‚ which is an acid that supports healthy intestinal flora and digestion. As a dietary supplement‚ adults take 2 tablets daily or as directed by your healthcare professional. 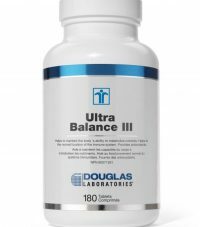 Ultra Balance III, provided by Douglas Laboratories ®, is a comprehensive, highly concentrated vitamin-mineral-trace element supplement containing more than 30 essential nutritional ingredients. Ultra Balance III is more than just another multivitamin supplement. It is a potent antioxidant formula with beta-carotene and natural vitamin E; a high-potency B-complex supplement; a significant source of bioavailable calcium and magnesium; and a full-spectrum trace element supplement. Suggested Dose: Adults take 1 tablet twice daily or as directed by a healthcare practitioner. 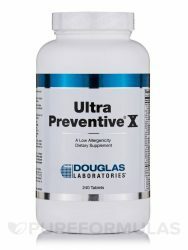 Making sure you get the proper amount of nutrients doesn’t have to be hard‚ not if you’re using Ultra Preventive X from Douglas Labs. This multivitamin is formulated to potentially ensure you not only get the proper amounts of essential vitamins and minerals‚ but that you also get several other ingredients that may benefit your health and wellness‚ like bioflavonoids‚ enzymes‚ amino acids‚ botanical extracts‚ and much more. Featuring essential vitamins like vitamins C‚ D‚ A‚ E‚ and numerous types of B vitamins — as well as essential minerals like calcium‚ potassium‚ and more — Ultra Preventive X is formulated to deter the deficiencies of these essential nutrients in addition to supporting some pretty crucial biological functions like immunity‚ organ health‚ bone health‚ cellular health‚ and much more. Magnesium is a mineral with a fundamentally important physiological function in the body. However, typical diets in the U.S. and other industrialized countries often provide less than adequate amounts of magnesium. Supplementation with bioavailable glycinate and chelate salts of this mineral can help bridge the gap between dietary intake and optimal requirement. Magnesium plays an essential role in a wide range of fundamental cellular reactions. More than 300 enzymes require magnesium as a cofactor. Complexed with adenosine triphosphate (ATP), the main carrier of metabolic energy in the body, magnesium is essential for all biosynthetic processes: glycolysis, formation of cyclic adenosine monophosphate (cAMP), energy-dependent membrane transport, transmission of genetic code for protein synthesis, and muscle function. Magnesium is also involved in maintaining normal heart function and blood pressure. Adults take 1-2 tablets daily with meals or as directed by physician. Solu-Q™ contains natural coenzyme Q10 in a patented, self-assembling nano-colloid delivery system called VesiSorb®for enhanced absorption. Coenzyme Q10 is an important cofactor in the mitochondrial electron transport chain, the biochemical pathway that generates energy in the form of adenosine triphosphate (ATP). Since nearly all cellular activities depend on energy to function, coenzyme Q10 is essential for the health of all tissues and organs. Numerous studies indicate coenzyme Q10also plays an important role in the maintenance of the entire cardiovascular system, including the maintenance of blood vessels and heart muscle function. As the mitochondrial electron transport chain also generates free radicals, coenzyme Q10effectively decreases oxidative damage to further support good health. Vitamin E is also included to support antioxidant defence. Suggested Dose: Adults take 1 Capsule daily or as directed by your healthcare professional. Citrus-Q10® 100 supplies naturally fermented coenzyme Q10 in a great tasting, natural citrus flavored chewable tablet. Citrus-Q10 100 contains no sugar, artificial colors or flavors and is suitable for vegetarians. CARDIAC SUPPORT: Coenzyme Q10 is essential for the health of all human tissues and organs, especially the heart. Amount Per Serving: Natural Coenzyme Q10 100 mg. Other ingredients: Mannitol, cellulose, citric acid, natural lemon-lime avor, povidone, silica, natural orange avor and sorbitol. As a dietary supplement, adults take 1-4 tablets daily or as directed by a healthcare professional. Allow tablet to dissolve in mouth and swallow. Not a sublingual tablet. Maintaining a healthy and balanced mood can be really difficult sometimes. In today’s stressful environments we often forget about how our diets can affect mood and brain functions. This can leave us in a state of nutritional deficiency that can affect our serotonin levels. Serotonin is an essential neurotransmitter that works to maintain mood balance in our bodies and can sometimes be preserved by making the right dietary adjustments for B vitamin intake. That’s why working with a mood stabilizer may help you achieve the balance necessary to reach healthier levels of serotonin production. Douglas Labs’ Brain Mood 60 Vegetarian Capsules are formulated with a dream team of B vitamins that may work to increase serotonin production and an overall feeling of well-being. Vitamin B12‚ B1‚ B3‚ B9‚ B5‚ and 5-HTP all work in harmony to help reach healthy levels of this neurotransmitter. Don’t forget‚ serotonin is also a precursor of melatonin‚ which is also important in managing our sleep patterns. As a dietary supplement‚ adults take one (1) capsule three (3) times per day‚ or as directed by your healthcare professional.